Since the internet boom of the late 1990s, sociologists and other researchers have been concerned about its effect on society. Even back in 2005, while hailing unprecedented access to information, many researchers were talking about society fragmenting into small, cloistered units with little in common. Looking back, this apprehension seems premature—especially considering the rise of social media and networking. People still want to feel connected. Social media has given us the ability to share (and at times over-share) information instantly. While there are still internet users dedicated to the free and open exchange of information, there are more people dedicated to branding themselves. Every “Like,” “Check-In” or “Tag” serves to shape their public persona. Rather than retreating into small niche groups,many people are all too happy to let the world know they like Coca-Cola, the Gap or Wal-Mart. Because the line between our online lives and our real lives is disappearing, the traditional model of survey creation is no longer enough. 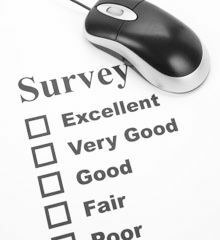 While good survey design, a large distribution sample and deep data analysis are still important, today your survey tool must also be fully compatible with mobile devices and integrated with social media networks. You have to meet your participants where they live. With people willing to share so much of their lives online, businesses capable of leveraging this information have a competitive edge. SoGoSurvey’s Rules & Alerts, Social Media Integration and Mobile Surveys provide you with the tools you need to innovate in a rapidly changing technological environment.